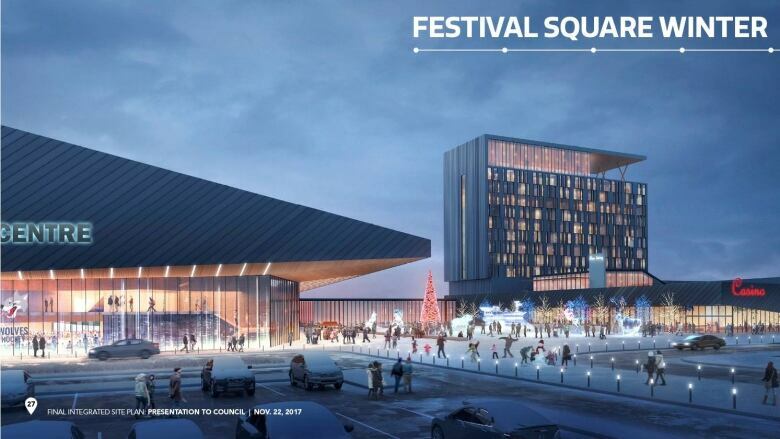 A spokesperson with Hilton Hotels says the chain is not currently involved in plans to be a partner in Sudbury’s Kingsway Entertainment District. A spokesperson with Hilton Hotels says the chain is not currently involved in plans to partner on Sudbury's Kingsway Entertainment District. In an email to CBC News, a Hilton spokesperson wrote "as of Sept. 19, it is factually incorrect and unconfirmed that Hilton will be splitting operating costs with the city, developer and Gateway Casinos for the upcoming Kingsway Entertainment District." 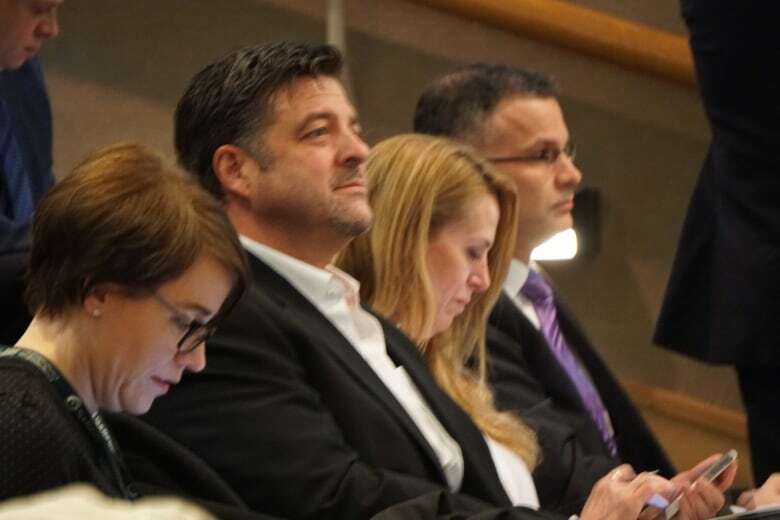 At a city council meeting on Sept 11, Catherine Matheson, Sudbury's general manager of community development, identified Hilton as one of the four parties involved in the partnership. "We are working with a developer, with Gateway Casinos, and with the hotel interest through the developer right at this present time," Matheson told council. "There's an interest from Hilton with the developer, and he's representing their interests at current. So we're working with those partners," she said. The city has since offered further clarification. In a written statement the city notes there are three partners within the cost sharing arrangement for the Kingsway Entertainment District. The three parties are the city, the developer and Gateway Casinos. There are three components within the integrated site, the arena/event centre, a casino and a hotel. The city says the hotel's capital contribution to the site development is represented by the developer and is the responsibility of the developer. The statement goes on to say the developer has shared with the city a letter of interest from Hilton Worldwide. Matheson referred to the letter at the September 11 council meeting. "In a previous update I did indicate there was an upper-end hotel expressing interest with the developer," Matheson added. "I actually named the number of floors. At that time it was being negotiated with [the developer] and the hotel. The details of which I'm not privy to, but I have seen the letter of interest." The letter of interest Matheson refers to is posted on the city's website. In the letter, addressed to Zulich, Hilton's senior director Jeff Cury said "this letter is to confirm Hilton's strong interest in working with you on your Kingsway Entertainment District multi-use development located off of 'The Kingsway' in Sudbury, ON." The letter suggests that a hotel at the Kingsway Entertainment District could act as "the first and potential flagship" for the chain's "Tapestry Brand" in Canada. Cury also wrote that Hilton was excited to work with Zulich on the project. "Rest assured that I will do my utmost to facilitate the necessary franchise approval process so that we may move forward expeditiously," the letter states. The letter goes on to say that Zulich Developments has experience and the talent level necessary to "bring the project to fruition." In an interview with CBC News, Zulich said Hilton is only one of several hotel chains that have expressed interest in a partnership. "There's been a lot of interest from many hotel chains, and they've submitted letters of interest suggesting they would like to participate in some fashion," he said. "We're just exploring," Zulich added. "Nothing is done until it's all firmed up." "It's all in order, and we're moving along nicely." You can hear more on this story here.